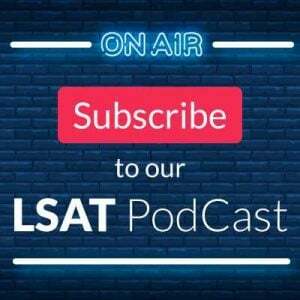 We are excited to present the first full episode of our brand new PowerScore LSAT PodCast with hosts Dave Killoran and Jon Denning! In this inaugural episode, Dave and Jon discuss the various January ’19 LSATs recently offered, provide updates on some recent LSAC news regarding registration deadlines and digital testing, and examine the remainder of 2019’s test dates with analysis on how each will be administered and advice on which to take. They also explore LSAT reusage, the test makers’ rationale behind this questionable practice, and what it likely means for future exams. You can find the episode embedded below, but make sure to subscribe/follow and rate/review on Apple Podcasts, Spotify, or YouTube if one of those is your preferred podcast platform! We are offering a special limited-time offer for any listeners who subscribe or follow on any podcast platform. Take a screenshot of your subscription to our podcast or channel and send it to lsatpodcast@powerscore.com and we will send you a special discount code to receive $20 off and free shipping (US and Canadian students only) for any of our 2019 LSAT Bibles and Workbooks! Offer is available until 2/28/19. 0:00 to 2:06: Jon and Dave say hello, note what cocktails they’ve chosen (and why) for the evening, and even recommend a relevant song from The Struts that encapsulates many of this episode’s talking points. You can listen to that tune here. 2:07 to 4:00: An overview—and somewhat scathing critique—of LSAC’s new digital interface software that was just released, and updates on June and July registration dates. For a look at LSAC’s software visit this link. 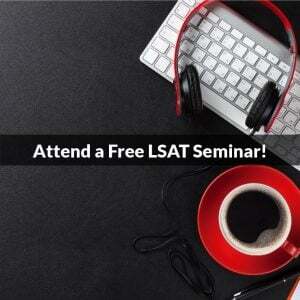 To register for an upcoming test, go here. 4:01 to 28:21: A deep dive into the various January ‘19 LSATs—regular, international, Sabbath-observer, and accommodated—offered this past weekend, including a comprehensive run down of the North American exam, its content, our prediction for its scoring scale, and even the nature of nondisclosed testing and what to expect when scores release. We also discuss LSAC’s policy of test reusage and the motivations behind certain questionable decisions on that front. For additional reading on the January tests, visit our Forum. 28:22 to 32:19: Here we cover the upcoming March LSAT and what we expect it to look like, as well as how we believe schools will treat it when considering results for a 2019 acceptance. 32:20 to 37:40: Our analysis of the LSAT in June and a planned change that makes it unique compared to tests of years past (hint: it has to do with the Writing Sample). 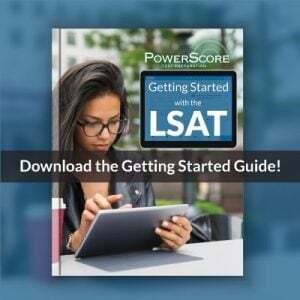 37:41 to 48:51: This section addresses the July 2019 LSAT and the incredibly singular nature of how it’s being offered, including the one-time-only score preview option for those weighing a cancellation and retake. 48:52 to 1:01:20: And finally a look at the first fully-digital test dates in September and beyond, as well as a closing discussion of recent LSAC policies and behavior with suggestions for improvements (and occasional praise for updates already in progress). Thanks for listening—we hope you enjoyed it! If you have any questions or want to submit any topics for discussion – reach out at any time via email (lsatpodcast@powerscore.com) or phone (800-545-1750) and we’ll be happy to help!